Shopping with Glenz: Pin To Win !!! 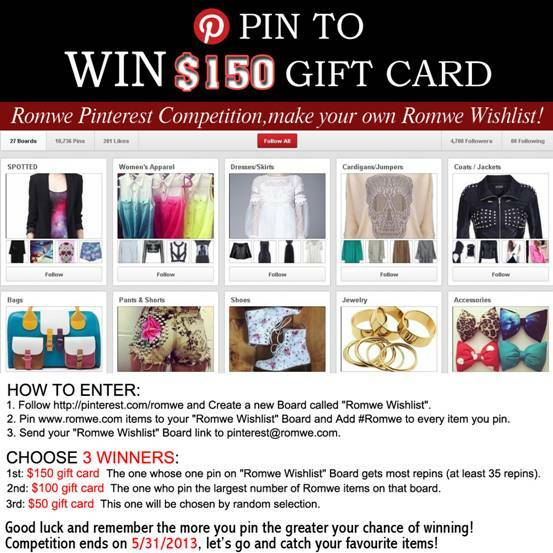 Rowme is holding a pinterest event! The winner will get $150 freebies. 1. Follow http://pinterest.com/romwe/ and create a new Board called "Romwe Wishlist".